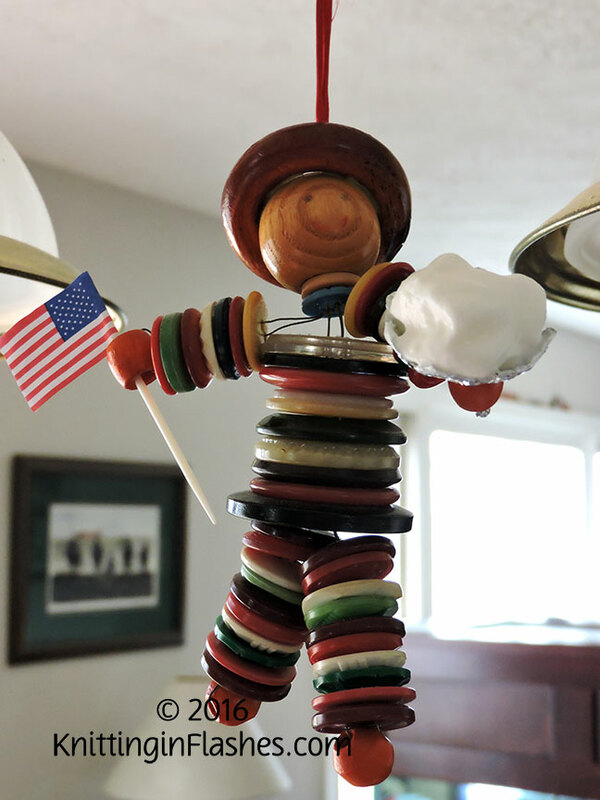 Button Man wishes you a Happy Pi Day. He’s planning on eating this vanilla cream pie for breakfast. Yum! How do you celebrate? This entry was posted in knitting and tagged Button Man, holiday by Patti_is_knittinginflashes. Bookmark the permalink.